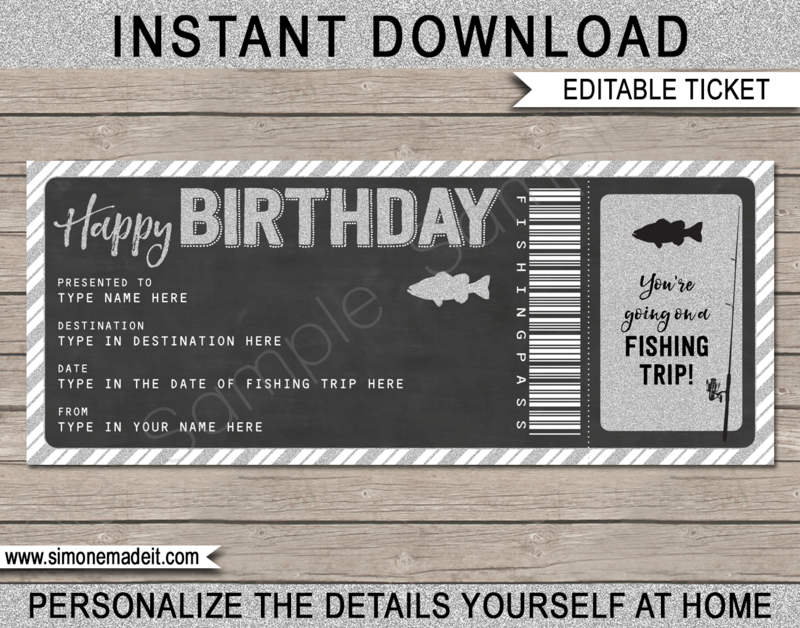 This printable Surprise Fishing Trip Reveal ticket is a special way to gift a birthday fishing trip. Easily personalize this fishing pass template at home. Simply open it in Adobe Reader and type over my sample text. 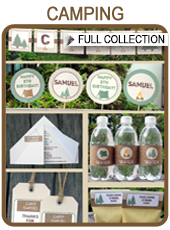 All text is editable (except the “Happy Birthday”). You can even change the barcode & headings text. Edit & print as often as you like. This template looks fantastic printed in Black and White with it’s chalkboard background and silver glitter accents. PDF file with 3 x tickets per page (each of the 3 tickets can be for a different recipient and/or destination, date etc). Each ticket is 8 x 3.25 inches. Download your printable Surprise Fishing Trip Reveal ticket immediately after your payment has been processed. Trim out your Surprise Fishing Trip Reveal ticket on the provided cut lines.